Metalwork brings another element to my designs. With my greatest inspiration close to me, Lake Superior, I have found myself combing the beaches of this lake over the years collecting rocks, beach glass, pottery shards, and driftwood. 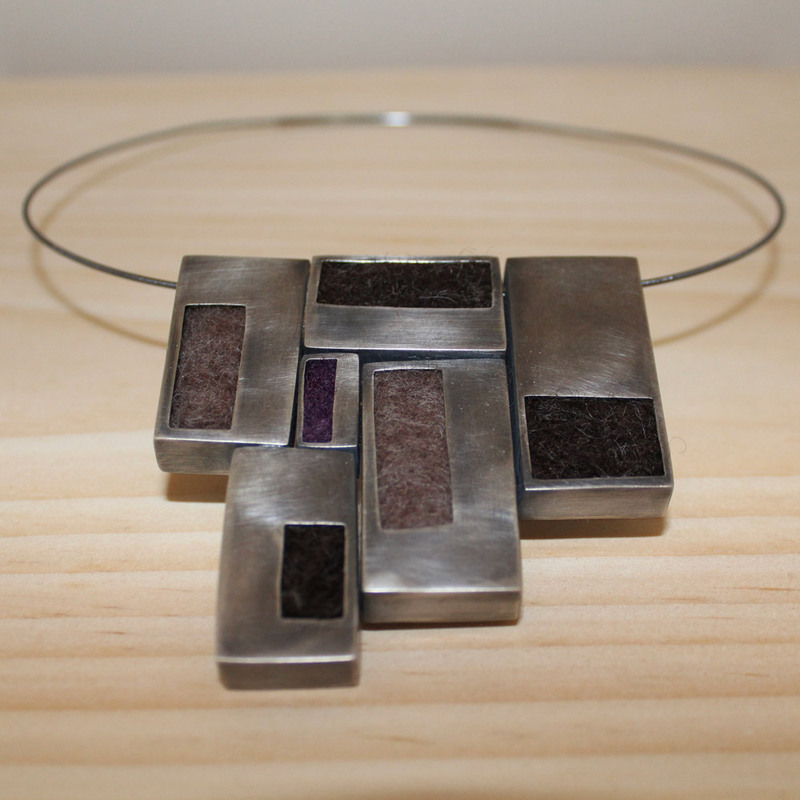 When I began working with metal, it seemed fitting that I would begin to incorporate these found objects into designs. My jewelry is minimal in design, often times simply letting the object shine, and each is made with intention and gratitude from the lake that offers up her gifts to us with each wave. Additionally, I incorporate felt and wood into my designs, using repurposed wood from local artisans, and wool from my fleece stash or local sheep farmers. Some of the wool that I use is dyed with nature’s colors while some is the natural color of the wool. The Metal + Wool pieces made with sterling silver and wool is the grand union of the materials that make up my brand name.